Anne Garton is a triathlete and a mental health advocate and is actively involved with mental health organisations. In July 2005, Anne took part in the 1,945 kilometre bike ride from Brisbane to Cairns, organised by ‘A Place To Belong’ to raise awareness of mental health issues. Anne’s deep-seated drive and passion to fight for and advocate for the rights of people with mental illness is founded on her personal resilience. In this edition, Anne describes her journey of recovery through her triathlon achievements and speaks out about mental illness. She describes her goal to be an ambassador for mental health and to reduce stigma and fear and promote community inclusiveness. Ray Lemay is the Executive Director of the Prescott-Russell Services to Children and Adults in Plantagenet, Ontario, Canada. He is widely-published and has written extensively on normalisation and Social Role Valorization Theory (SRV). On a recent visit to Australia in 2005, Ray conducted a workshop in Brisbane, entitled ‘Promoting Resilience’. In this article, Ray explores the concept of resilience and discusses links between resilience theory and the protective processes that enable people to successfully adapt and develop, following situations of adversity. Libby Ellis lives in Sydney with her husband, Sebastian. She currently works in the advocacy unit of The Cancer Council of NSW and has also worked for disability advocacy and environmental organisations. In this article, Libby considers how her own personal resilience has assisted her not only to take an active and strong role within her own family’s commitment to achieving a good life for her brother, but also strengthened her engagement to broader social movements and activism. Helen Glover has had a personal and professional interest in recovery and recovery-based practice for a number of years and has concentrated her practice, research and training mainly within the field of mental health and psychiatric disability. Her work is strongly informed by the lived experience knowledge base of those who have recovered including that of her own recovery from mental illness. 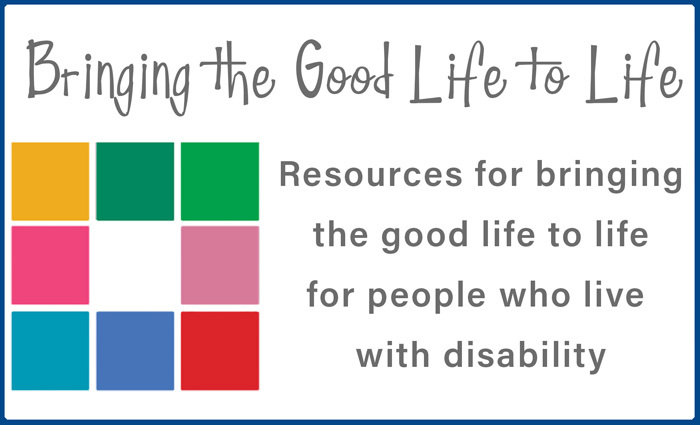 Sharon Bourke shares how to build strategies and strengths to assist us to move forward with a strong, purposeful vision for the future lives of people with disabilities. Sharon currently works on the Pave the Way Project, which is exploring ways in which families can be supported in their efforts to safeguard the future for their family member with a disability. Sharon believes her real learning comes from sharing her life’s journey with her children, two of whom were born with significant disabilities. Their gifts and the challenges continue to be an inspiration for her. Kevin Follett trained as a social worker and works in the Department of Social Work at the University of Queensland in Brisbane as a research assistant. Kevin has a strong interest in the expressive medium of comedy and humour as a way to develop personal growth and knowledge. In this article, Kevin makes the link between humour and resilience more explicit.